In a perfect world, the holiday season would be filled with decadent meals, fruity cocktails, and cozy laughter by the fireside. But between all of the aunts asking why you haven’t settled down yet, the crying babies, and the classic fights between mom and dad, the holidays tend to always come with a side order of family drama. 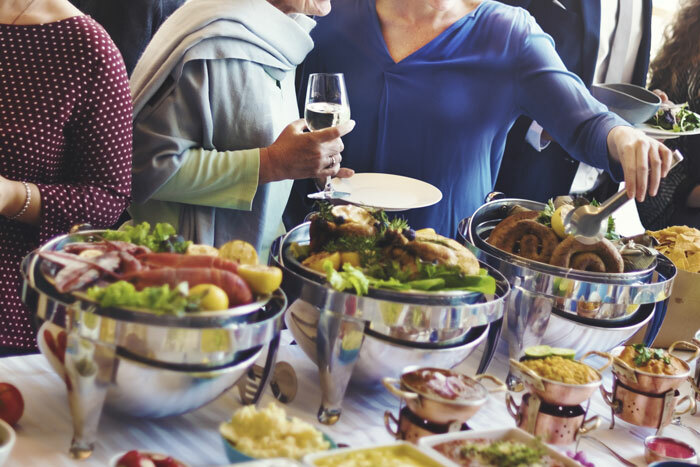 To avoid losing your mind amidst all of the holiday cheer, here are five tips to make the most out your family holiday parties this season. When things start to get crazy, have a go-to person that can help bring the mood up. Whether there’s a particular family member you have a closer relationship with or a friend or partner you can bring to the party for support, having people around you who have your back will help put you at ease. Nothing good ever came from a drunken argument. “Although family may stress you out, if you’re drinking to get through it, that only has the potential to bring out uncensored comments and emotions and likely will not have the best outcome,” says Cole.